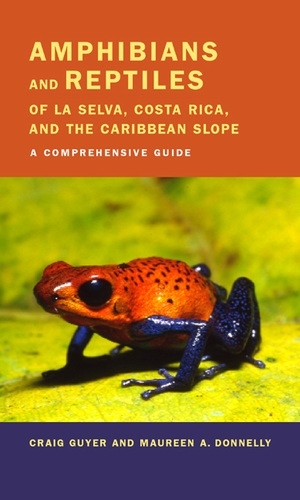 This field guide at last provides an authoritative and handy source for identifying amphibians and reptiles of Costa Rica's renowned Atlantic lowland tropical forests. Colorful frogs, lizards that can run across water, snapping turtles, spotted geckos, boa constrictors, crocodiles, and many other fascinating yet secretive species of amphibians and reptiles flourish in the region's myriad microhabitats. The La Selva Biological Station, a protected reserve, boasts a rich biota, making it and the surrounding area one of the most visited tropical forest sites in the world. For travelers, ecotourists, and biologists, this comprehensive guide, written by two distinguished experts on the area's amphibians and reptiles, will be an essential resource while visiting La Selva and the surrounding tropical forests of Costa Rica. In addition to providing reliable field identification, it will help visitors to this area better understand the overall role of Central American amphibians and reptiles in the natural world as well as conservation efforts now being undertaken to ensure the survival of these intriguing creatures. Craig Guyer is Professor of Biological Sciences at Auburn University. Maureen A. Donnelly is Associate Professor of Biological Sciences at Florida International University and coeditor of Standard Methods of Measuring Biodiversity (1994).